Automation is the engine that drives cloud computing -- but it isn't foolproof. It requires the right tools and rule sets, which IT teams must carefully manage and review, especially as business and user needs change. And whether deployed individually or in comprehensive frameworks, cloud automation tools can be extremely sensitive to changes within a private cloud or data center environment. For example, a tool like Puppet Enterprise 2015.2 requires the deployment of a master server on a system running Red Hat Enterprise Linux 6 or 7, CentOS 6 or 7, Oracle Linux 6 or 7, Scientific Linux 6 or 7, SUSE Linux Enterprise Server 11 or 12 or Ubuntu Linux 12.04 or 14.04. It also requires access to a database like PuppetDB and PostgreSQL and the deployment of a console server using Web browsers. The tool can support numerous agent nodes using various Linux, Windows, Mac and UNIX operating systems. As a result, if an organization upgrades a server OS that runs Puppet Enterprise, it can potentially cause problems for Puppet. 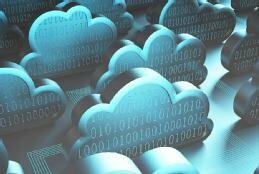 In addition, changes to database systems can disrupt cloud automation and orchestration behaviors. To avoid disruption, organizations should extensively test private cloud automation tools before rolling out any OS or component updates into their production environment. While automation tools are less sensitive to hardware changes -- since new servers typically provide better compute resources and performance -- organizations should still perform tests to make sure their software environments can be replicated onto the new hardware and maintain performance. For example, after a hardware upgrade, a tool like Puppet may require administrators to perform a complete backup of the automation environment, uninstall the tool, upgrade the operating system, reinstall the tool and then restore the tool's files from backup. Remember that this can prevent automation services, effectively shutting down a private cloud during the upgrade process. Other upgrade options may exist, but there is always potential for cloud service disruption unless IT teams address their automation tools' dependencies well in advance. How have you minimized disruption to your cloud automation tools during a hardware or software upgrade?